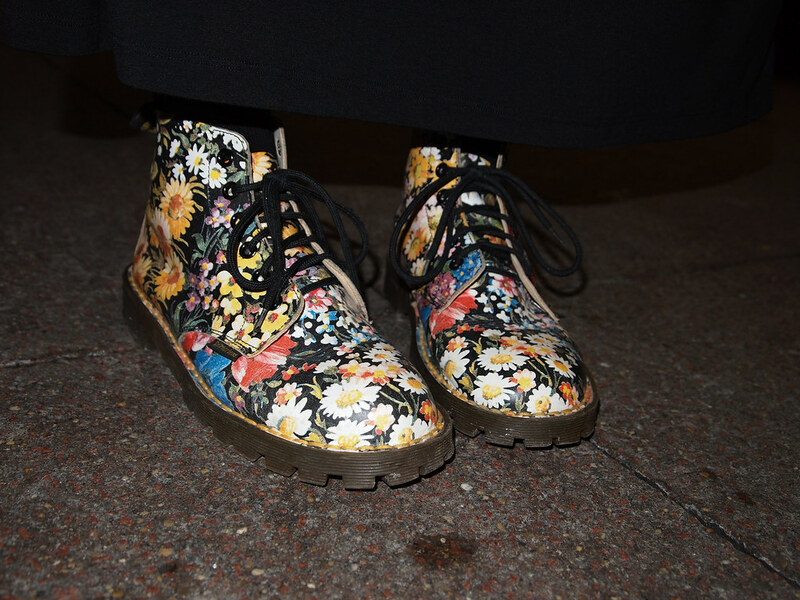 Jiyun is wearing a killer pair of vintage floral Dr. Martens. I recognized them immediately as the pair of Docs my mom refused to buy me at Dillard’s in the late 1990s (she told me they were too “trendy” and bought me the boring black pair instead). Thanks to the NYLON editorial in which Sienna Miller was photographed wearing this exact pair, these boots are now selling for upwards of $200 on eBay.